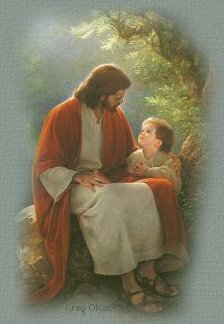 Our Lord Jesus Christ is the greatest Teacher of all time! How does He teach us? By example and by parable. What is a parable? It is "a short simple story from which a moral lesson may be drawn." (Webster) Thus Jesus, that He might better instruct and inspire his followers, used the simple parable of the laborers in "the vineyard" to teach a lesson to his people then, and even to us now. Surely we have not change that much as to our basic human characteristics and tendencies in the last two thousand years. You see...even as Jesus addressed his listeners, He was speaking to a common problem - of evil, a common weakness - in human beings, namely selfishness and envy. This, basically, is the root cause of so much turmoil, conflict and unrest in even the best of our so-called civilized society. Accompanying this evil is the lust or desire to dominate. In our cultured society we are just as prone to this as any "third word" country. This parable speaks to the individual in his or her own personal and intimate endeavor for spiritual growth or regeneration - and it speaks to groups or society - to the community of men and women as they need to relate to one another in the business of living together in the world. "No one is an island unto oneself." Independent as we may want to be, we need each other. Let's never forget that - so we had best try to get along with one another. The literal meaning of this parable expressed what is so typically human and finite. Here the owner (or management we may call him) hires workers for an agreed-upon rate of pay to do a specific job for each day. During the day more help seemed necessary so more people were hired at varying times. At the end of the day all got the same pay. Immediately there was a problem. We can guess why. Why should those hired at later times during the day get the same pay as those who worked all day long through the heat of the day? I venture to say that even today this would cause a real labor problem. But logically, according to the owner or householder, the early workers had agreed upon the wage and the work, so why should they complain? Could not the owner do with his what he wanted? That was his business. I suggest that most of us might say he didn't use very good common sense or diplomacy. You might say that he was asking for trouble at the end of the day when they settled up. But what was then, and even now, the real problem? It was envy and selfishness! It isn't fair, we say. Now the owner says he is doing no wrong. All agreements were fulfilled. He gave to the last even as to the first. But human nature would not then or now accept this. People are human beings and as such, being finite, they are imperfect and from birth, after reaching a state of responsibility, are inclined toward evil and falsity. After their natural birth and growth, they "must be born again." And that's what everything of life here in this world is all about. Only the Lord God, our Creator, is perfect and infinite. In our parable, thinking in terms of all the people involved, the householder and the laborers, we make a comparison with conditions in a society with which we are familiar. Practically speaking, as we view our society and the business of making a living, the one who hires (management) and the one who is hired have one thing in common. They are finite human beings and as such can be just as grasping, greedy and malicious as the other whether employee or employer. It is simply a matter of roles. I'm reminded of the words of Rev. Vickers, addressing a group at our world assembly in London, saying, The trouble with our world today is people." If it weren't for people, we would have no problems. So, the purpose of God's creation is that there may be people who can live, love, and be loved and in that way love God. And this, in complete freedom. But at the same time, being in freedom, people can also hate and be hated and choose hell over heaven, of their own freedom. That is, in place of choosing heaven, for which all people have been born, hell is the opposite choice. Hell is real and it is tragic. This life here in this world, which is only a small segment of our eternal life, is a training and proving ground for heaven. Since our democratic societies enjoy so much freedom (and this freedom we must learn to respect and enjoy with responsibility to each other) we accept a greater risk of external conflicts between factions and ideologies. But in conflicts, all part of regeneration even as a society, we can learn to understand and share others' concerns, their hopes, and their values of life. That, in a democracy, is what is so precious, and, in Swedenborg's terms, we can advance in spiritual growth only in freedom and rationality. We have, to a large extent, touched on a certain external aspect of this Gospel record of the laborers in the vineyard. It is a good lesson, even in that respect. The other aspect of the lesson is far more personal. This deals with the intimate and personal steps of one's regenerative process. In other words, they are the stages of our own spiritual growth. We likely will never recognize those stages, but they are there nevertheless. The very first step is that described by the householder going into the marketplace to hire laborers for his vineyard. The Lord Jesus has intimately and wisely provided these. The laborers are actually the memories of things good and true that have been stored up in our minds (the marketplace) since early childhood and youth. Just think back on this - the good things, principles and values that we did not know we really had. (Here is the importance of early childhood training in Bible knowledges and principles). These are hired, so to speak, for the day. There is recompense, a denarius a day - not much really, is it? But that small amount is indicative of the first or early satisfactions gained from these first steps in trying to live just a bit more in line with what eventually can be expected of a person who is destined to become an angel. Yes, I know that there are many who may say, "Well, who wants to be an angel? I enjoy life as it is, right here and now. To be an angel, if there are such creatures, is something for the future." This attitude of course reflects the old concepts and myths about angels and heaven and hell. But angels, we are taught, are simply men and women whose basic ruling love and principles of life have been turned form a gross love of self and the world to an outgoing love of the Lord and the neighbor, and this, both here and hereafter. Swedenborg's discussion of heaven and its joys and delights in today's reading further details this. Now there, if we look at our own lives by this standard (and it's the only true and heavenly one) we may estimate the extent of our own labors in the vineyard of life. The very early stages of our regeneration (like working all day in the vineyard for the same pay as those who came much later) obviously will lack much of the greater spirituality which comes later; and this early stage can be accompanied by a kind of spiritual grumbling expressive of a state of life with other fellow human beings when we might say, with some frustration, "Oh, what's the use of trying to do what is right and good, where does it get you?" But there is recompense - exactly what we bargained for. That is life - and that is what we can all expect. Recall the words from Ezekiel 36: "A new heart I will give you, and a new spirit I will put within you; and I will take out of your flesh the heart of stone and give you a heart of flesh." That is the original heart transplant. Amen. "For the kingdom of heaven is like a landowner who went out early in the morning to hire laborers for his vineyard. After agreeing with the laborers for the usual daily wage, he sent them into his vineyard. when he went out about nine o-clock, he saw others standing idle in the marketplace; and he said to them, 'You also go into the vineyard, and I will pay you whatever is right.' So they went. When he went out again about noon and about three o'clock, he did the same. And about five o'clock he went out and found others standing around; and he said to them, 'Why are you standing here idle all day?' They said to him, 'Because no one has hired us.' He said to them, 'You also go into the vineyard.' When evening came, the owner of the vineyard said to his manager, 'Call the laborers and give them their pay, beginning with the last and then going to the first.' When those hired about five o'clock came, each of them received the usual daily wage. Now when the first came, they thought they would receive more; but each of them also received the usual daily wage. And when they received it, they grumbled against the landowner, saying, 'These last worked only one hour, and you have made them equal to us who have borne the burden of the day and the scorching heat.' But he replied to one of them, 'Friend, I am doing you no wrong; did you not agree with me for the usual daily wage? Take what belongs to you and go; I choose to give to this last the same as I give to you. Am I not allowed to do what I choose with what belongs to me? Or are you envious because I am generous?' So the last will be first, and the first will be last." The extent of heaven's joy can be determined simply from the fact that everyone there enjoys sharing his own delight and blessedness with someone else. And since everyone in heaven is like that, you can see how vast heaven's delight is... There is a sharing by all with each individual, and by each individual with all.